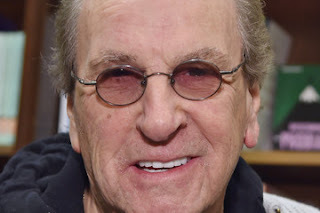 Actor Danny Aiello. Photo courtesy of zimbio.com. Enjoy a night of laughter and philanthropy as comedians raise funds, awareness and adoption opportunities for some of New York City’s differently-abled dogs at “Laugh for Sight for Dogs,” a comedy benefit, 7 p.m. Mon., April 25 at the Gotham Comedy Club, 208 W 23rd St, Manhattan. Among the comedians already scheduled to perform are legendary comedian Robert Klein, Paul Mecurio, Rich Aronovitch, Allie Klein, Stacey Prussman and Brian Fischler. In between the comedy sets, actor Danny Aiello will showcase for the audience a number of differently-abled dogs available for adoption. Silent auction will be from 7 to 8:30 p.m. Comedy show from 8:30 to 10:30 p.m.
To purchase tickets go to http://gothamcomedyclub.com/event.cfm?id=445447 or call 212-367-9000.